Susanta Banerjee (born in 1944) is an electronics engineer by profession, and retired as a General Manager in Research Engineers Ltd. an USA based organization. As a sound engineer in HMV (The Gramaphone Company), he had the opportunity to work with many famous singers, music directors, and filmmakers of our country. He recorded sound for many films made by Shri Satyajit Ray. It is well known that all the finest forms of human self-expression through the medium of Literature, Visual Art or Music, are within the purview of Aesthetics. And who does not know that Aesthetics is a part of Philosophy? The philosophy of life and its delicate balance have moved the artistic soul of Susanta. A creation by an Artist is the Mirror of his soul and so, of the mind of an Artist; and this sensitivity can be easily seen from the works. Thus works of an artist and the sensitivity of this soul have a strong relationship. The stronger the sensitivity the more refined the works of art become. Outwardly Susanta Banerjee has a calm appearance. But one look at the works is enough to convince the viewer that inside this placid-looking mind blows a storm. Out he pours his heart expressing his feeling about life and its myriad aspects through the medium of Photography. To cultivate Photography as an art form Susanta joined Photographic Association of Dum Dum in 1970, passed the Certificate course in 1971 and received his Diploma in Photography in 1973, and started creative work and participating in Salons. Soon Susanta became a renowned Photo Artist not only in India but throughout the world. He has to his credit more than 400 acceptances in different International Salons and Exhibitions spread over various countries in different continents. He has bagged Many medals and awards and a number of reproductions in salon catalogues. He won the "Best Indian Entrant" award thrice in International Salons held in India. He received awards from more than twenty countries spread all over the world. Susanta was bestowed the Associateship of the Royal Photographic Society, UK (ARPS) in 1982 and Fellowship (FRPS) in 1985. He received the distinction 'Artist' from Federatione International de L' Art Photographique (affiliated to UNESCO), i.e. AFIAP in 1978, "Excellence" from FIAP in 1987 and the most coveted honour in photography, "Master (MFIAP) in 1992 for his outstanding contribution to creative photography, and ESFIAP (Excellent service to FIAP) honour in 2004. He was conferred the prestigious Hon. FPAD (Honorary fellowship of PAD) in 2007. Some of his photographs are preserved in the permanent collection in photographic museums of Italy, Austria, Argentina and England. He is honoured with the Life Membership from Photographic Association of Bengal. 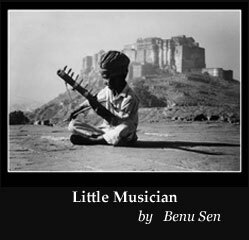 In his creative life as a Photo-artist he is respected in India and abroad as a Philosopher of Photographic Art-whose central theme of work evolved around the eternal episode of "Life and Death". In most of his creations he tries to convey the feeling of the ansient nature of life. His sensitive mind found great potential in the age-old technique of montage to add Wings to his artistic feelings. Hence, though Susanta has won awards in Candid Photography also, he indulges creativity through the technique of montage. At present he is one of the few international Photo Artist who excel in creativity through photography. His presentation of a subject, selection of a theme and also the Printing quality is excellent and few would dare to compete with him in this field. His majority of creations are by the technique of photomontage, which is a very difficult one to master in a lifetime. And Banerjee is considered to be one of the best in India, in this experimental procedure, and one of those few in the world to reckon with. He follows the process of "Combination Printing"-not "Cut and Paste" method -to maintain the highest possible photographic quality in his creations of montages. And it will not be redundant if it is mentioned, that in this age of 'Digital' Photography, he takes pleasure in the conventional "Darkroom-Oriented" photography to have the 'pain of pregnancy' in creation. Banerjee is, one of the few practitioners of "combination Printing" to make a montage photograph for the expression of feelings and ideas. Both pre-visualisation and post Visualisation are the forte of his aesthetic creation through the medium of Photography. However, he is now experimenting with Psudo Digital techniques to take full advantages of technology. He has served as a member of the jury in different National and International Salons in India and was also invited to England to become one of the judges in the Surrey Salon of Creative Photography. His articles on photography are published in the journal of Royal Photographic Society, Federation of Indian Photography and in the proceeding of International Conferences of Photography, organized by P.A.D.. 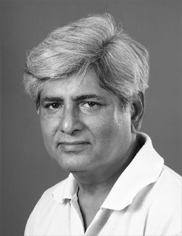 He was Vice President of the Federation of Indian Photography from 1996 to 2001. He is an executive member of PAD since 1986. He is co-author of the book 'Experimental Photography'. Susanta has all the qualities needed to make a truly great photographer : Imagination, Determination and Capacity for Hard Work. To a meticulous viewer of Susanta Banerjee's photographic creations it is an experience to keep in the treasure vault of memory where lyric, beauty and sobriety converge to elevate the soul.